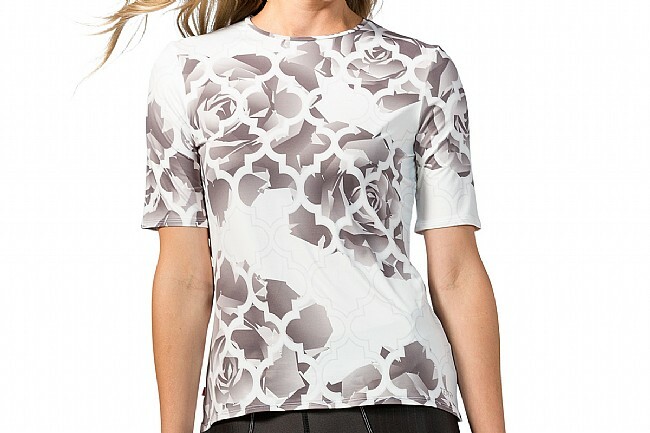 The Terry Women's Soleil Short Sleeve Jersey provides the perfect amount of comfort and coverage in a lightweight, attractive packaged. Made from an extremely lightweight polyester / spandex fabric with a UPF rating of 50+ for comfort and protection on hot, sunny days, but it also works well with layers for cool weather riding. Its simple construction provides a close fit, yet elastic-free arms and hem let this garment remain nonrestrictive during activity. Three open pockets in the back provide ample storage for ride-goods to make the Terry Soleil Short Sleeve Jersey an all-around choice. 88% polyester / 12% spandex. Available in multiple colors. Probably all cloth is sun protective but this was a good fitting and comfortable piece of cloth! 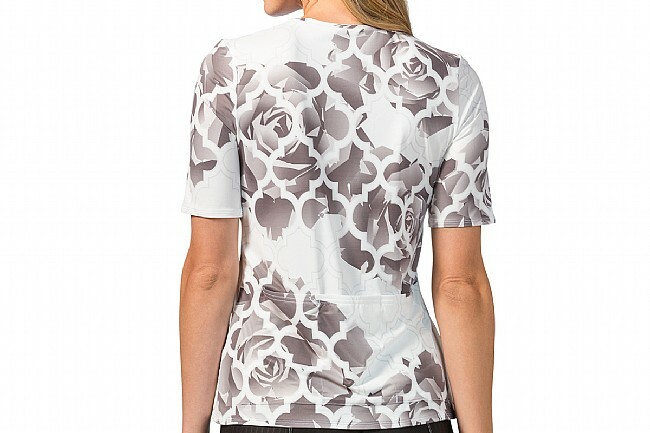 Great looking lightweight jersey that doesn't look like a jersey with SPF protection. I really like that this jersey is lightweight and gives a little more coverage so that I don't have to slather on sunblock on my upper arms and chest. It feels cooler than regular bike jerseys on hot days. I now have two short sleeve and three long sleeve Soleil tops.